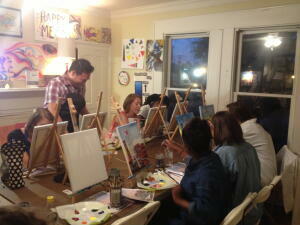 Happymess Art Studios provides the perfect venue for an art party for 8 people. they will help you choose a unique and unforgettable art experience and tailor the project just for you. Whether you are planning a birthday party, girls night out, baby or bridal shower, corporate team-building or any other special event.